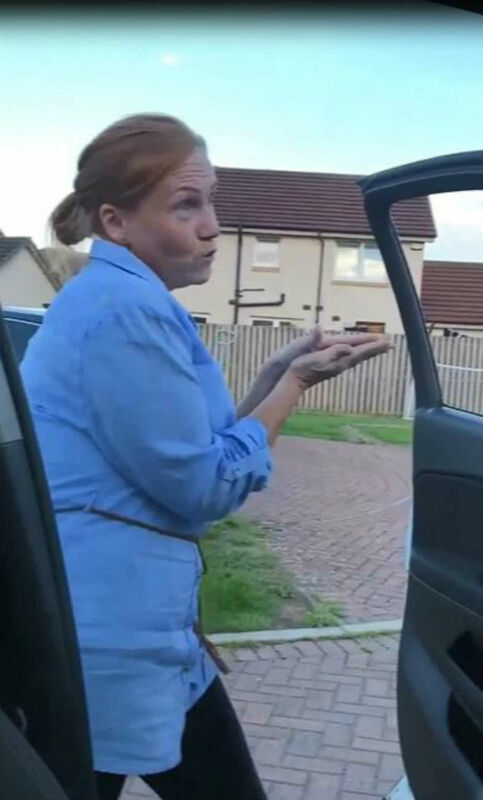 A SCOTS mum-of-three has racked up over 300,000 views online with her take on the Kiki Challenge. 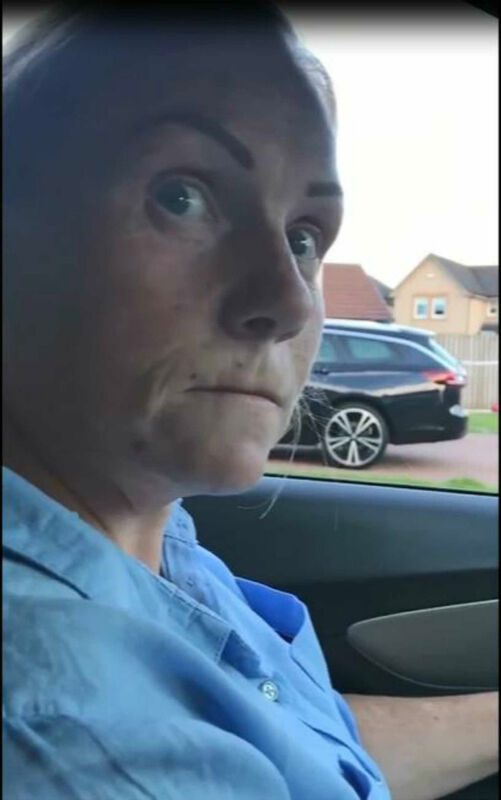 Stefanie Sweeten, a support worker with children with learning difficulties, decided to do the “Baby Shark” song rather than In My Feelings by Drake. 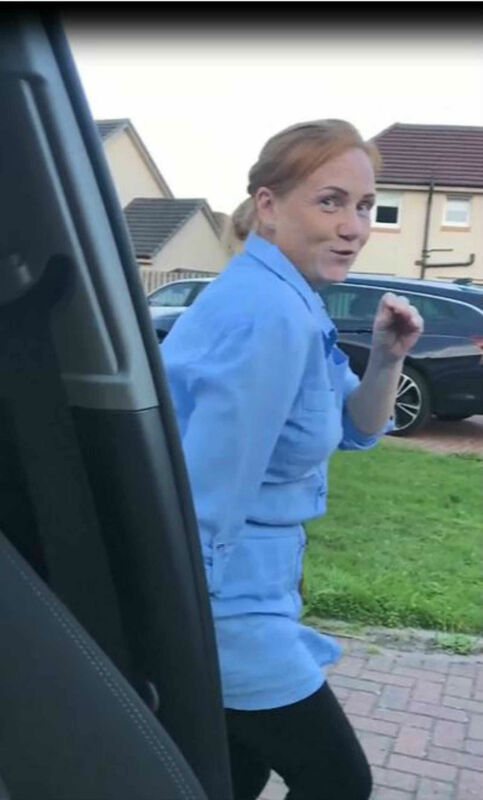 The hilarious clip, filmed by her daughter, shows the 39-year-old dancing and miming along to the children’s song in her street in Cambuslang, Glasgow. The footage, filmed by 13-year-old Michaela, begins with Stefanie inside the car moving her head from side to side to the tune of the ominous start of the song, which is very similar to the Jaws’ theme. Then, as the song begins to pick up the momentum, she opens the door, gets out of the car, and has a little shuffle to the children’s song. As the lyrics, “Baby shark” are heard on the speakers, Stefanie appears to mimic the words as well as using a small hand gesture to imitate a baby shark. Following this, the song then moves on to “Mummy Shark” to which Stefanie opens her hands in a clapping motion to emphasize a bigger shark. After this, the words “Daddy shark” can be heard and Stefanie opens her arms up wider to represent an even bigger shark. She also does similar gestures for the “Grandma” and “Grandpa” shark lyrics where she can also be seen smiling and laughing at her own antics. Following this, as the words “Let’s go hunt” can be heard, she clasps her hands and places them above her head to imitate a shark’s fin. She then ‘swims’ around to the tune of the song. Shortly after, the song picks up tempo with the words “Run away” being played and Stephanie runs to the beat of the catchy tune. This is then followed with the song slowing down and Stephanie looking sad that her performance is coming to an end. She then finishes by opening her arms out showing her ‘jazz hands’ whilst facing the camera. Speaking today, Stefanie said: “I just said ‘I need to do that, let’s get that done’ and that was it. She says that although none of her neighbours saw what she was up to, she was surprised to see it had received so many views on social media. She added: “None of the neighbours saw me. They were gutted they never saw it. 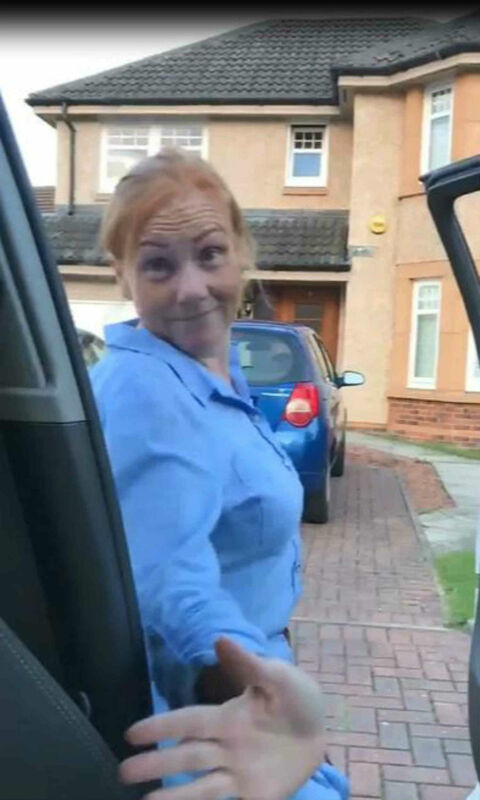 “My neighbours all know I’m a bit crazy , we have a great wee street and all get on great. “I went to bed thinking it would be great if it got over 2000 views, next thing I know it’s got over 300,000 thousand.